The first book in this enthralling new series by Angie Sage leads listeners on a fantastic journey filled with quirky characters and magykal charms, potions, and spells. Magyk is an original story of lost and rediscovered identities, rich with humor and heart. Want the complete series? Download Flyte: Septimus Heap, Book Two and Physik: Septimus Heap, Book Three. 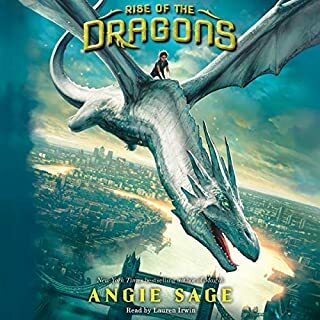 ©2005 Angie Sage (P)2005 HarperCollins Publishers, Inc.
As a mother of very young children, I'm always on the hunt for books that interest me, yet are kid friendly. (no cussing, vulgarity, etc) With the Harry Potter series over, I was desperate to find something else. The Septimus Heap books are fun. I really enjoyed the entire series and enjoyed this narrator- and I'm extremely picky. 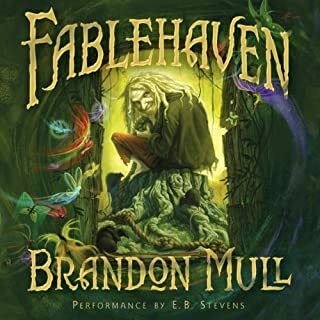 Definitely a children's rather than an adult or teen fantasy this was really pleasant to listen to. An original and well thought out world, a bit a moral complexity creeping in, and distinctively drawn and quirky 'good guys'. The reader had an attractive, clear voice and the 'voices' given to the characters were distinctive and suitable. I will look out for and buy the sequel when it comes. Great narration and suspenseful story line. Plot was imaginative and interesting even if the ending was easily predicted. Great fun to listen to and I can't wait for Book 2 to come out! I will be buying the book as soon as I can. Yes, I am an adult but one of my loves since studying it in college is children's literature. This one rates up there with the Pullman Series. This read was simply delightful!! The story is fantastic and reminds me of all the good reasons for being a kid!!! Allan Corduner is phenomenal!!! My kids and I have an ongoing contest of who can best be the voice of Marcia - "Oh ... my purple python shoes!" 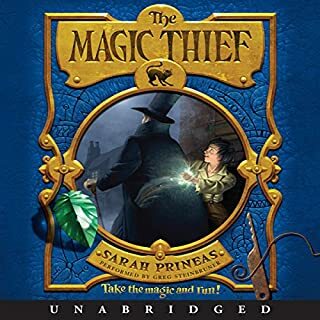 We thoroughly enjoyed this audible and recommend it to kids and adults alike who enjoy stepping into magical lands and letting the narrator whisk them away to adventure! My only sadness is that Audible didn't use Mr. Corduner for the sequels - which we have been hesitant to buy for that reason. Why do you do that??? In spite of this, the book was fantastic, and we will most likely give the others a chance as well. I'm a huge fan of the Harry Potter and Pullman series and I loved this book. I can't wait for the sequel. The characters were delightful and the story line kept me entertained from beginning to end. Won't bore you children OR you!! Got a car ride coming up with kids ages 8-18? This book is the key to your sanity. Won't drive you crazy, will keep them entertained, and help the time fly by. The reading (unlike some other kids books here) is great. 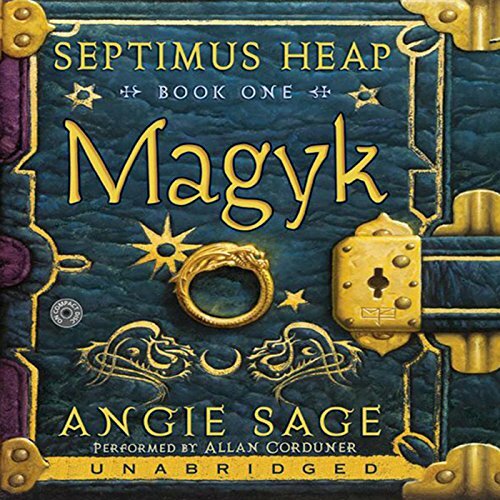 Magyk (2005) by Angie Sage has many typical children's magical fantasy genre elements: the lost seventh son of a seventh son possessed of extraordinary magic power, a princesses in hiding, an evil necromancer, good wizards, witches, and ghosts, supernatural creatures (like boggarts, brownies, and dragons), legendary magical artifacts (even a lost ring found underground in the dark! ), and spells and magical rules for every occasion her page-turning plot requires. Sage's novel adds to the genre a usurping dystopian governing body (the Custodians) with a penchant for rationalizing people, excluding women, and banning magic. Sage's good characters, a balanced mix of adults and kids, are very appealing and great fun to spend time with: Marcia Overstrand (the purple pointy python-skin shoe wearing ExtraOrdinary Wizard), Arthel Melle (the avuncular ghost of the former ExtraOrdinary Wizard), Silas (the unambitious and good-natured Ordinary Wizard who is a seventh son), Nicko (one of his sons who likes boats), Jenna (the princess on the run), Boy 412 (a member of the Young Army, "the Pride of today, the Warriors of Tomorrow"), and even Stanley the message rat (Sage does for message rats what J K Rowling never does for message owls: gives them their own point of view). And best of all Sage writes with enjoyable and engaging wit and style. I often laughed out loud at the lines her characters speak and the situations in which they find themselves. Magyk feels lighter and wittier than the Harry Potter books. Her slimy and poisonous Magog creatures are nightmarish, but also prone to greedy foibles, and her Dark Lord DomDaniel (back from the Badlands with a vengeance) snores and drools while he sleeps. The fertility of imagination and richness of style in Magyk don't approach that in, say, Catherynne Valente's The Girl Who Circumnavigated Fairyland in a Ship of Her Own Making, but Angie Sage does write more magical magic than J. K. Rowling. Although Sage, like Rowling, does a fair amount of mundaning of the fantastic (as in having Marcia cast clothes cleaning spells), she is also capable of writing scenes that make the world come alive with a fresh perspective, as when the last Shield Bug goes into earnest and confused action, when the Dragon Boat appears in an underground temple, when the ghost of Arthel hugs Jenna and makes her "feel as though a warm summer breeze had wafted through her," when Boy 412 stares awe-struck at the "haze of [purple] Magyk energy" on Marcia as she casts a spell and sees her "brilliant green eyes glitter[ing] as she gaze[s] into infinity, observing a silent film that only she could see," and when Jenna goes outside Aunt Zelda's cottage to watch the marsh wake up in cold dawn beauty and thinks about her identity and family and childhood dreams and sees "a fishing boat crewed by chickens." 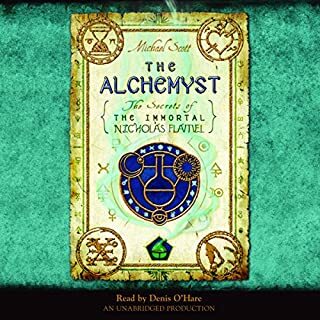 One thing lost in the audiobook version is Sage's portentous capitalizations and faux-archaic spellings of words like Magyk and Darke and use of bold font for the names of spells, because when the reader Allan Corduner says them they of course sound as if they were spelled and printed normally. But you gain so much by listening to the audiobook, because Corduner relishes reading the novel and keeps just the right 75-25 balance between tongue in cheek and heart in mouth, making everything more funny and magical and moving than it would be if one were only reading the physical book. Will I go on to read/listen to the following six novels about Septimus Heap? Hmmm. If I find them on sale and myself with plenty of time I might, but I am in no hurry right now, because this first novel is a little longer than necessary and ends with satisfying closure. 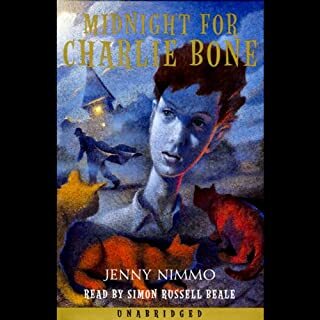 I originally purchased this audio book for my 10yr old daughter. But after I finished my own book, I thought I would check it out. I could not stop listening. It was a little slow in the beginning, however it quickly grabbed my attention. It was surprisingly great, with a happy ending! A cute and sweet story. It is aimed at a younger crowd then some of the other "magic" books out there, but if you like children's books this is a good one. It's filled with little imaginative details that make the story. The narration is well done. The music between sections is rather annoying but might appeal to children. I recommend the book and I'll be downloading the second one in the series. I downloaded this book for my 9 year-old son and 11 year-old daughter, both Harry P fans. Charlie really rated this book, humorous and exciting. The look of total concentration and the annoyance at the end of a journey at the CD being switched off said it all! Kate enjoyed it too, possibly with a little less enthusiasm, but gobbled up quickly for all that, which is usually an indication of a good story! She praised both the plot and characters and both kids enjoyed the narration. Well read, exciting story, interesting characters and some humour: both my children (7 and 9 yrs old) loved this book, and are pestering me to get the next in the series. I have to say that the parents enjoyed it too. Having been recommended the book by friends I read the paper version and really enjoyed it (I am a 35 year old woman). I bought the audio version for my son, who's 7, and he listened to it every night, and never wanted it to be turned off. Once he finished it he wanted to try reading the print version. More adventure than magic, with interesting characters and some twists (although I saw them coming) which surprised my son. He's now listening to the second book, Flyte. a great introduction to a story the whole family enjoyed! have already started on the second book of the series, and we are loving it. This book is the first in an ongoing series of books, currently seven. 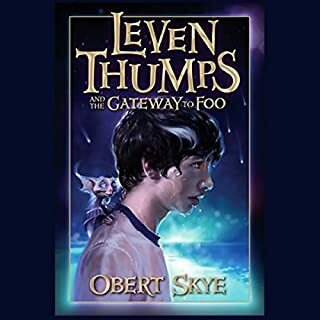 It is an excellent read for young or old, and the imagination of the author makes it a fun story which you just don't want to put down. I like all of the Septimus Heap books although I am not this particular narrator's No.1 fan I think I was a bit unfair to him in my review of Eragon as I managed to listen to all the Septimus Heap books. It's not a masterpiece but it's entertaining, enjoyable and humorous would be wonderful for kids on a long car journey. It started well and was well read but the story did go downhill about 3/4 the way through to the point that I couldn't finish it. I did enjoy the book although I thing the plot was abit lame. I had guessed the out come after the second Chapter. That said though I will get the rest of the books in hope that they do emprove. So far though I have to say I far prefer The Brtimaeus Trilogy (Jonathan Stroud) and Phillip Pullams work,Oh and I mustn't for J.K.Rowling. I am 10 and thoroughly enjoyed it and would be happy to read/listen to it many times more.